← Last chance to sign up for Hanging Rock Hiking trip! 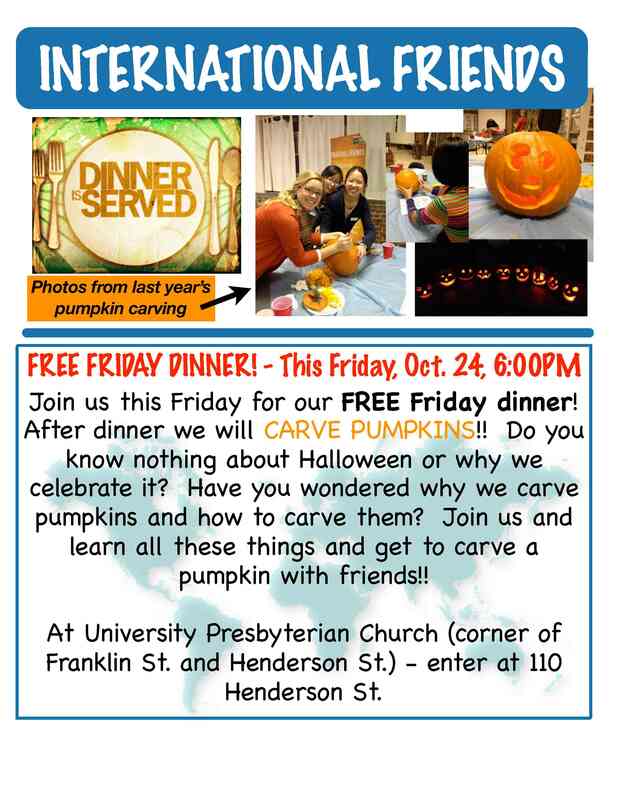 Free Friday Dinner this Friday! PUMPKIN CARVING!